Debris from the Southwest Airlines flight that was forced to make an emergency landing in Philadelphia on Tuesday was found in rural Berks County this morning. 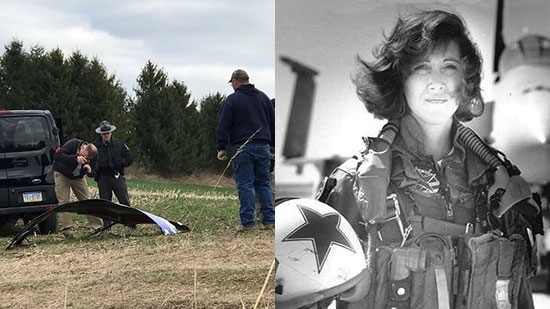 A piece of the cover from the engine that exploded on Flight 1380 was discovered on state game lands near Bright School Road and Route 183 in Bernsville, PA about 70 miles from Philadelphia. Other pieces were found on a farm in Jefferson Township. Two smaller pieces were discovered at the Heidelberg Country Club. Officials are asking the public to keep an eye out for any more debris. Anyone that finds possible debris related to this incident to contact the FBI in Allentown at 610-433-6488. The NTSB's preliminary examination determined the engine showed "metal fatigue." A full investigation could take 12 to 15 months. The pilot of flight 1380 is being commended for having "nerves of steel" for keeping everyone calm and landing the plane safely after it lost an engine. Captain Tammie Jo Shults is a former Navy pilot and one of the first female fighter pilots. Passengers say she took the time to walk through the plane and speak with everyone after they landed. Speaking on behalf of the the five-person crew she released the following statement: "As Captain and First Officer of the Crew of five who worked to serve our Customers aboard Flight 1380 yesterday, we all feel we were simply doing our jobs. Our hearts are heavy. On behalf of the entire Crew, we appreciate the outpouring of support from the public and our coworkers as we all reflect on one family's profound loss. We joined our Company today in focused work and interviews with investigators. We are not conducting media interviews and we ask that the public and the media respect our focus." - Southwest Captain Tammie Jo Shults and Southwest Airlines First Officer Darren Ellisor. One woman was killed in the accident when the engine explosion caused a window to break open and the cabin to depressurize. 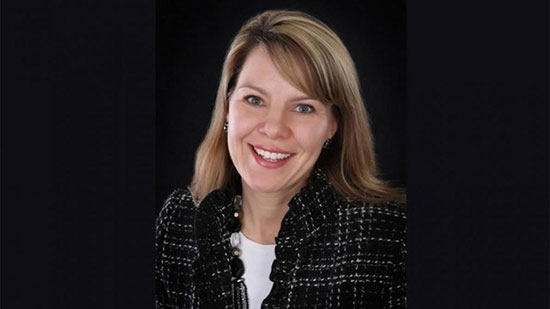 43-year-old Jennifer Riordan of Albuquerque, NM, was a married mother of two and vice president of community relations for Wells Fargo bank. She was well known across New Mexico having had a long career in public relations and has been on the board for several organizations including the New Mexico Broadcasters Association, Junior Achievement of New Mexico, New Mexico First, and The Catholic Foundation. The Philadelphia medical examiner's officer says she died of blunt impact trauma to her head, neck and torso. Her death has been ruled accidental. Bethlehem police say that an argument over the placement of bologna and cheese in a shared refrigerator at a rooming house led to the stabbing of one of the residents. Manuel Martinez and John Scarlata had a disagreement on Monday night about food placement in the refrigerator used by everyone in the home. At around 1 a.m. Tuesday, the dispute continued and Martinez stabbed Scarlata in the lower left abdomen and the lower left chest with a kitchen knife. Scarlata remains hospitalized after undergoing surgery. Martinez has been charged with attempted homicide, aggravated assault, and a weapons count. A man was shot while stopped at an intersection early Wednesday morning in Southwest Philadelphia. It happened just after midnight at 63rd and Reedland Street. The 25-year-driver was sitting in his car at the intersection when the shooter walked up and shot him. He was hit in the hand and grazed in the face. The victim drove off and hit a parked car. He was taken to the hospital in serious but stable condition. Police are searching for the shooter and investigating a possible motive.